THE SEDRA OF NITZAVIM IS ALWAYS READ ON THE SHABBAT BEFORE ROSH HASHANAH, when our thoughts are directed toward teshuvah – the great mitzvah of the ten days that begin with Rosh Hashanah and culminate on Yom Kippur. 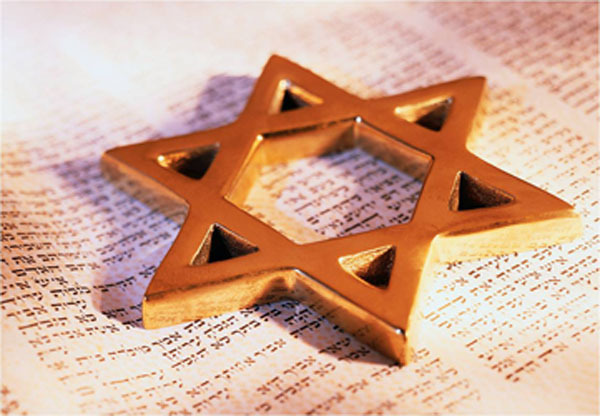 Where, though, in the Torah itself do we find the mitzvah of teshuvah? On this, two of the greatest sages of the Middle Ages, Maimonides and Nachmanides, differed fundamentally. With regard to all the precepts of the Torah, positive and negative, if a person transgressed any one of them, either wilfully or in error, and repents and turns away from his sin, he is under a duty to confess before God, blessed be he, as it is said, “When a man or a woman shall commit any sin that men commit, to do a trespass against the Lord, and that person be guilty, then they shall confess their sin which they have done” (Numbers 5: 6-7). This means confess in words, and this confession is a positive command. How does one confess? The penitent says, “I beseech you, O Lord, I have sinned, I have acted perversely, I have transgressed before you and have done such and such, and I repent and am ashamed of my deeds, and I will never do this again.” This constitutes the essence of confession. The fuller and more detailed the confession one makes, the more praiseworthy he is. According to Maimonides, teshuvah has its origin in the Temple and its sacrifices, specifically those brought for transgressions (sin offering, guilt offering etc.). Part of the rite for such offerings was a verbal confession – vidui – on the part of the wrongdoer. The conditions for the sincerity of such confessions were an acknowledgement that one did wrong; remorse or shame; and a determination not to repeat the offence in future. These are the fundamental elements of teshuvah. There are obvious questions. If teshuvah is linked to the sacrificial order, what happened to it once the Temple was destroyed and the sacrificial system came to an end? What of teshuvah outside Israel and outside the confines of the Temple? Maimonides answers these questions in his Sefer Hamitzvot (positive command 73) by reference to the Mekhilta. The Mekhilta uses various textual warrants to show that confession is in fact a separate command in its own right, and applies with or without a sacrifice, in and outside the land of Israel. Verbal confession, vidui, is the outer act, teshuvah its internal correlate. When all these blessings and curses I have set before you come upon you and you take them to heart wherever the Lord your G-d disperses you among the nations, and when you and your children return to the Lord your G-d and obey him with all your heart and with all your soul according to everything I command you today, then the Lord your G-d will restore your fortunes and have compassion on you and gather you again from all the nations where He scattered you. Even if you have been banished to the most distant land under the heavens, from there the Lord your G-d will gather you and bring you back. He will bring you to the land that belonged to your fathers, and you will take possession of it. He will make you more prosperous and numerous then your fathers . . . You will again obey the Lord and follow all His commands I am giving you today. Then the Lord your G-d will make will you prosperous in all work of your hands and in the fruit of your womb, the young of your livestock and crops of your land. The Lord will again delight in you and make you prosperous, just as He delighted in your fathers, if you obey the Lord your G-d and keep His commands and decrees that are written in this book of the law and turn to the Lord your G-d with all your heart and with all your soul. The next verse continues, “For this command which I am commanding you today is not too difficult for you or beyond your reach.” Which command? Nachmanides says: the command of teshuvah. Why so? The most striking feature of passage above is that it is a set of variations on the Hebrew verb lashuv, the root of the noun teshuvah. This is almost entirely lost in English translation. All the underlined phrases – “take to heart”, “restore your fortunes”, “again” and “turn” – are, in the Hebrew text, forms of this verb. The Torah often repeats a word several times to emphasise its significance as a key-word: sometimes three or five times, but usually seven, as in the present instance (taking “restore your fortunes,” ve-shav et shevutekha, as one composite phrase). Thus Nachmanides is quite right to see the subject of the passage as teshuvah. What, though, is teshuvah in this context? In the Torah sin is something more than a transaction in the soul, or even an act of wrongdoing narrowly conceived. It is an act in the wrong place. It disturbs the moral order of the world. The words for sin – chet and averah – both have this significance. Chet comes from the same verb as “to miss a target.” Averah, like the English word “transgression,” means “to cross a boundary, to enter forbidden territory, to be in a place one should not be.” Only when we understand this does it become clear why the deepest punishment for sin in the Torah is exile. Adam and Eve were exiled from Eden. Cain was condemned to be an eternal wanderer. We say in our prayers, “Because of our sins we were exiled from our land.” Because a sin is an act in the wrong place, its consequence is that the one who performs it finds himself in the wrong place – in exile, meaning, not at home. Sin alienates; it distances us from G-d, and the result is that we are distanced from where we ought to be, where we belong. We become aliens, strangers. Hence the double meaning of teshuvah, most clearly expressed in our sedra, but found throughout the entire prophetic literature. It has both a physical and spiritual dimension, and the two are inseparable as if bonded by superglue: it means the physical return to the land and the spiritual return to G-d. Teshuvah is a double homecoming. WE CAN NOW SEE how deeply different are the approaches of Maimonides and Nachmanides. For Maimonides sin-and-repentance are part of the world of the priest (torat cohanim). They belong initially to the Temple and its service. When an individual or group sinned in biblical times, they brought a sacrifice and, as a token of their contrition, confessed their wrong. The supreme example of this was the service of the High Priest on Yom Kippur, when he made atonement “for himself, his household and the whole community of Israel” (Lev. 16). For Nachmanides, sin-and-repentance are part of the broader sweep of Jewish history. They belong to the world, not of the priest but of the prophet (torat nevi’im), the figure who heard the voice of G-d in history, warned the people that public wrongdoing would lead to defeat and exile and who, when the exile eventually occurred, summoned the people back to their vocation as a prelude to their return to the land. Every individual act of teshuvah recapitulates, in some way, this larger pattern of return. Teshuvah in this sense is less atonement than homecoming – a subtle difference, but a difference none the less. It has nothing to do with the Temple and everything to do with a sense of the divine call (“Where are you?”) within the events that happen to us, whether individually as personal fate or collectively as Jewish history. The primary feeling of sin in priestly consciousness is guilt; in prophetic consciousness it is a sense of alienation (“alienation” became a key word in both Marxism and existentialism: for the former as a symptom of the capitalist system in the industrial age, for the latter as the mark of “inauthentic” existence; Judaism, more ethically, links it with bad conscience, the knowledge that we have not acted as we should). For the priest, teshuvah is integrally linked with the idea of sacrifice and leads to atonement (kapparah). For the prophet, it is associated with behavioural change (teshuvah as “returning” to the right way) and leads to healing, mercy, forgiveness and restoration. For the priest, atonement relates primarily to individuals, whereas for the prophet (as in the words of Moses above) the reference is often to the people as a whole. It is individuals who sin and repent; it is the nation that undergoes exile and return. This difference of interpretation goes back to the Geonic period, three centuries earlier, when R. Hefetz read the passage as did Nachmanides, and R. Shmuel Gaon like Maimonides (Otzar haGeonim, Sanhedrin, 514). THERE IS NO DOUBT WHATSOEVER that Maimonides and Nachmanides were both right. Priest and prophet were not in conflict: they were two voices in a single conversation, two perspectives on a complex reality. When the Second Temple was destroyed and both the priesthood and prophecy came to an end as functioning institutions, both traditions merged into the institution of teshuvah as we have it today. Is it not to share your food with the hungry and to provide the poor wanderer with shelter? We read another great example of a prophetic call to teshuvah, that of Jonah, just before Neilah. Neilah itself ends with the words, repeated seven times, “The Lord He is G-d” – the climax of one of the great prophetic confrontations, between Elijah and the prophets of Baal on Mount Carmel, when the people publicly abandoned idolatry and proclaimed the kingship of G-d. It is wondrous how these two strands, priestly and prophetic, have been woven together so seamlessly in our liturgy. So teshuvah is two things: a religious-metaphysical experience of sin and atonement (Maimonides), and an ethical-historical drama of exile and return (Nachmanides). For nearly two thousand years, the former predominated while the latter was no more than a distant memory and a pious hope. The Temple was gone, and so too were the prophets. But whereas there was a substitute for the Temple (the synagogue as mikdash me’at, “a temple-in-microcosm”) there was no real substitute for Israel as a nation-among-nations in the arena of history. In the course of the twentieth century, that changed. Jews returned. The state of Israel was reborn. The promise of the prophets, millennia ago, came true. Yet the word teshuvah – in the sense meant by Moses in this week’s sedra, and by Nachmanides in his construal of the command – has not yet been fully realised. There has been a physical homecoming to the land, but not yet a spiritual homecoming to the faith. Among a section of the population, yes; among the people as a whole, no. That challenge rests with us, our contemporaries and our children. The words of the prophets, never less than inspiring, have acquired a new salience. How it will happen, we do not know, but that it will happen, we do know, for we have G-d’s promise: that the faith of Israel will be reborn just as its land and state have been. May we live to see it, and work to be part of it. Previous Post ¿Cuáles son los valores judíos?